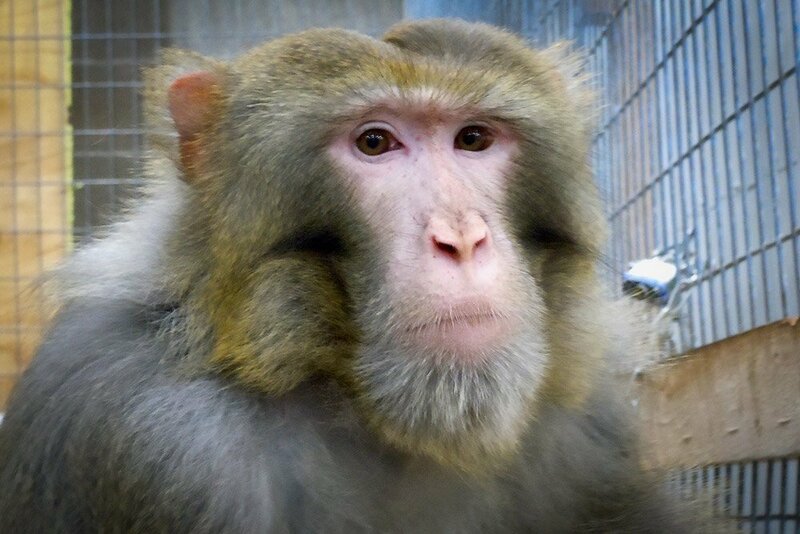 Izzle is a male rhesus macaque (Macaca mulatta) born on May 25th, 2004 in a laboratory. Izzle’s favorite food is mangos but when he is not eating he loves to interact with the various toys placed in his enclosure. 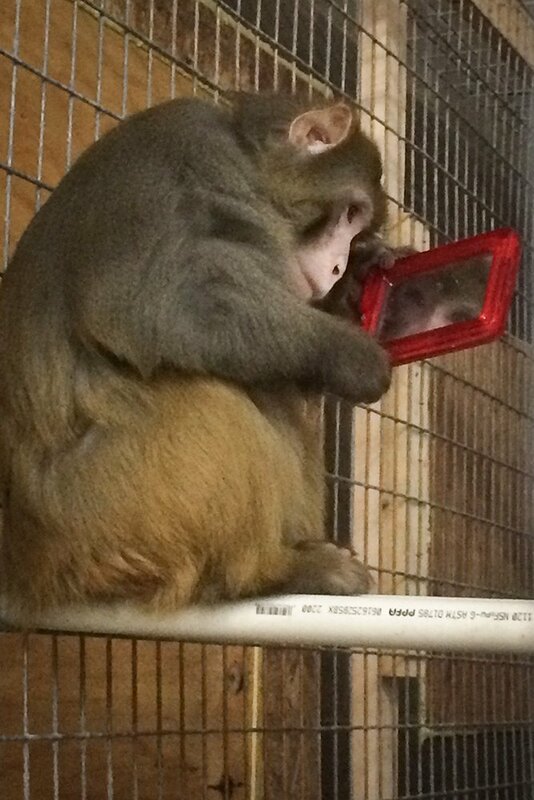 His favorite enrichment items are his mirrors which he uses to look at himself and his surroundings, and his Kongs (snowman shaped chew toy) which he enjoys destroying by chewing them into tiny pieces. 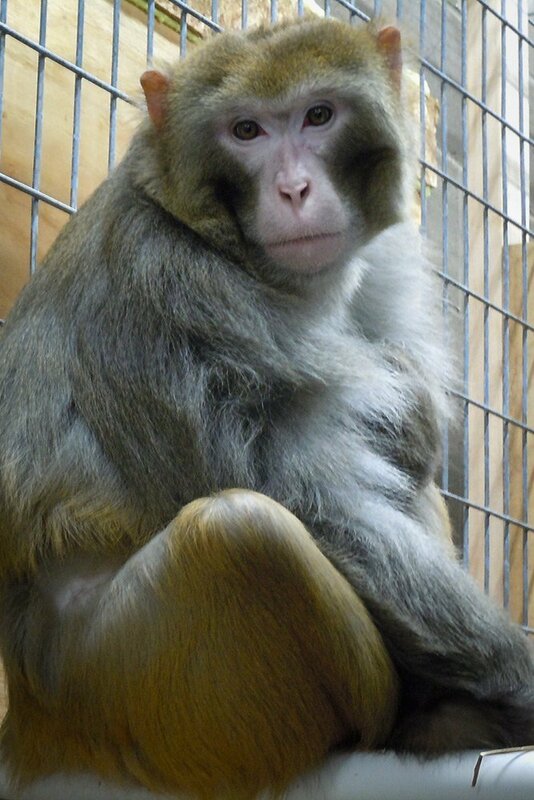 River is a male rhesus macaque (Macaca mulatta) born in a laboratory on January 8th, 2013. River has a major sweet tooth and particular fondness for berries. He is a very warm and patient monkey who can often be found cuddling up with his soft stuffed animals or fleece blankets. He quickly makes an impression on all who meet him and his calming presence has been noted to comfort his cage mates. In May 2018, Batman and Timon, age 8, arrived to the sanctuary. River immediately showed affiliative behaviors toward Batman and Timon. 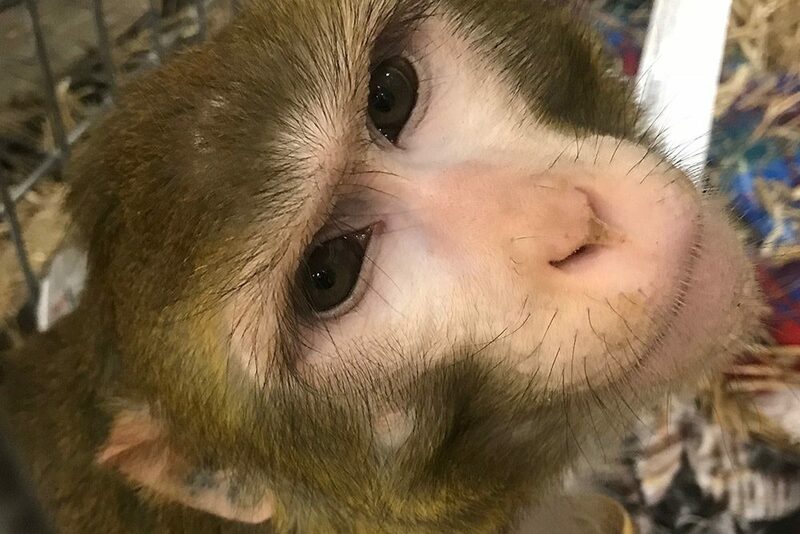 Under the guidance of the Primate Behavior Specialist, Primatologist, and Animal Care Manager, the three were successfully united into a trio in July 2018. Mars is a male rhesus macaque (Macaca mulatta) born in a laboratory on June 23rd, 2005. He has formed close bonds with his human caregivers who he frequently requests back scratches and grooming from. He is a food enthusiast who loves to forage but so far has shown no obvious preference towards a type of food. He has a very sweet and silly nature and can often be found looking at you upside down from between his legs. Batman and Timon are male rhesus macaques (Macaca mulatta). They arrived to the sanctuary in May 2018 from an out-of-state laboratory. They are doing great and our incredible staff analyzed behavior between River and the pair – and we are happy to announce they are now a happy trio! 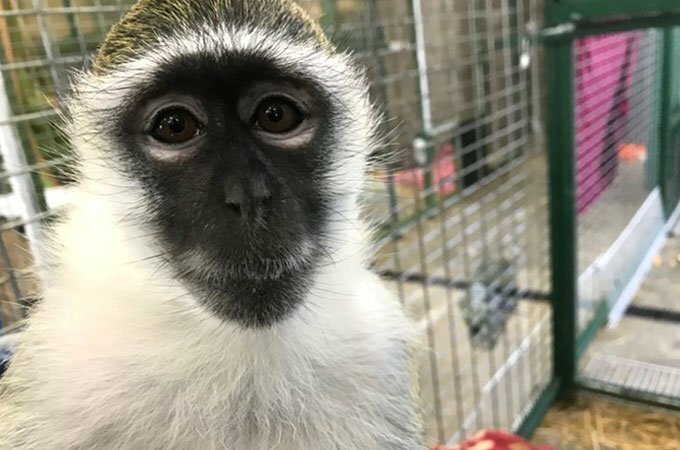 Bella is a female vervet monkey that we helped retire from the pet trade. 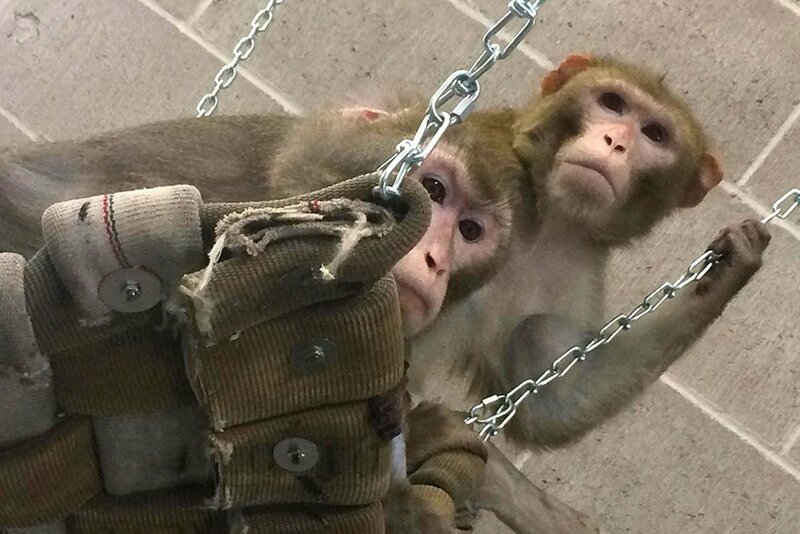 Her caring owners knew she was getting to be too much to handle and sent her to Primates Inc where she could be well taken care of and live with other monkeys. This adorable, sweet girl is settling in wonderfully. Welcome to Primates Inc, Bella! She looks young at 18, right?